Dayton Philharmonic Rockin' Orchestra Series - 2018-2019. Neal Gittleman and the Dayton Philharmonic host the Motortown All-Stars at The Schuster January 5, 2019. As the Dayton Performing Arts Alliance and its musical Vistas flow into 2019, Neal Gittleman and the Dayton Philharmonic Orchestra will host the Motortown All-Stars to celebrate 50 years of Motown music magic. The Motortown All-Stars feature vocalists from the ranks of legendary Motown groups including The Capitols, The Miracles, and The Temptations. This performance will deliver the harmonies and the choreography that we’ve come to know and love as integral to these songs. The night will be filled with songs from throughout the Motown catalog, including those by The Miracles, The Four Tops, Marvin Gaye, Stevie Wonder, and The Temptations. Originally the music of Motown was called the “sound of young America,” but it soon became the soundtrack of generations of Americans. These musical hooks are now part of all aspects of life, from movie soundtracks to commercials. The DPO and the Motortown All-Stars will be performing some of the most popular songs in music history. This is a show all ages can enjoy, whether you’re 8 or 80! 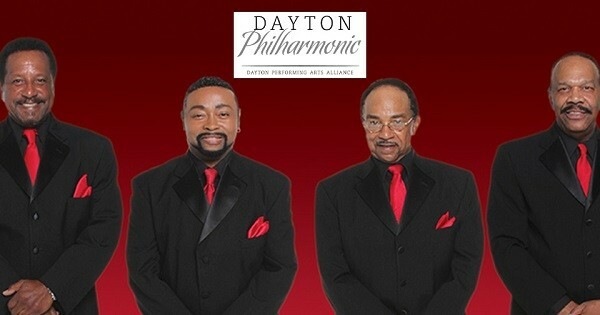 Find more events like "Dayton Philharmonic: The Magic of Motown"